I ask you, is there anything more American than a small town parade? Hey, look! I'm in a parade! 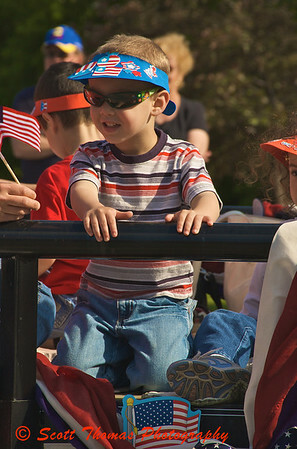 Red, white and blue all over and kids finding a way to last a long parade route. Red, white and blue wagon. 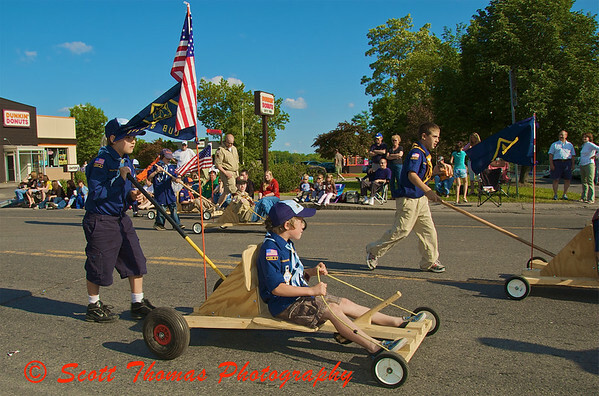 American built push carts powered by Cub Scouts. High fuel costs? No problem! There’s one in every parade. Too cute not to photograph. 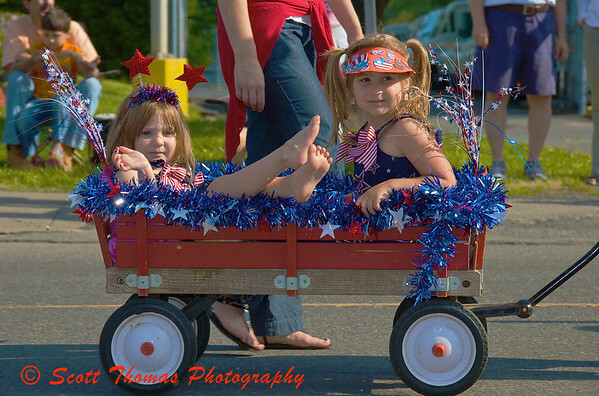 This entry was posted in People and tagged baldwinsville, children, holiday, kids, memorial day, new york, parade, Photography, united states. Bookmark the permalink. Oh dear, memories of my mother flooding back . . . she just loved creating costumes and floats for the Rhinelander parades. One year I was Daisy Mae, another year my baby sister and I were Tom and Jerry (the cartoon cat and mouse). These are wonderful pictures. It seems some things never change! Aye, that’s for sure. The parade floats weren’t as glamorous as last year due to the economy but the spirit of the people didn’t change. Wonderful clear photos, you even made the weather clear and the sky so very blue. Parades are not a Danish tradition, so from this part of the world, your photos are absolutely saying America. These blogs are a wonderful way to explore other cultures and traditons, isn’t it? Thanks for your comment! Like that individual flair of the floats you choose to show. These photos are delightful. I long for small town Americana. 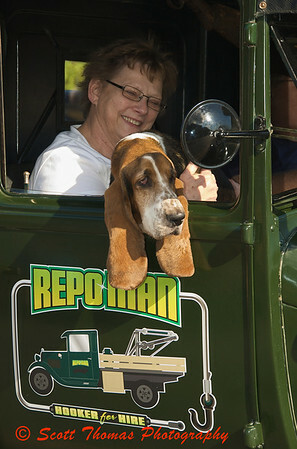 My favorite photo is of the two girls in a star spangled wagon with the basset hound hanging out of the Repo truck window being a close second. You have given us wonderful examples of street photography. Thank you!